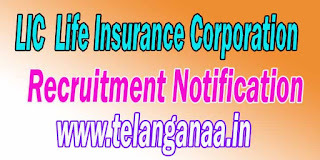 LIC (Life Insurance Corporation) Has Recruitment notification for 600 posts Advisor enabled. All incoming and interested potential candidates can apply on or before 30-08-2016 (August 30, 2016) Online. 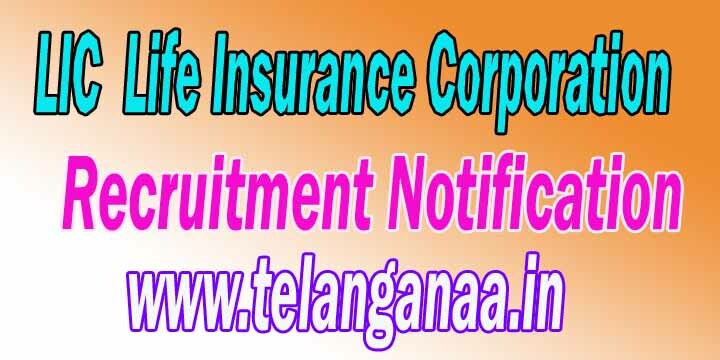 More detailed information on educational qualifications, age limit, selection, examination pattern, syllabus for LIC (Life Insurance Corporation) Recruitment 2016-600 Advisor post mentioned below. Age limit - Candidates age should be between 28 to 50 years. Age relaxations will apply according to the rules. Education - should have candidates performed post graduation degree or an equivalent qualification from a recognized university. Pay Scale - Rs 4860-20200 /. -. Online Registration of Application Form Is starts from: 18-07-2016. Deadline for Apply Online: 30-08-2016. Click here for LIC Detailed Advertisement.